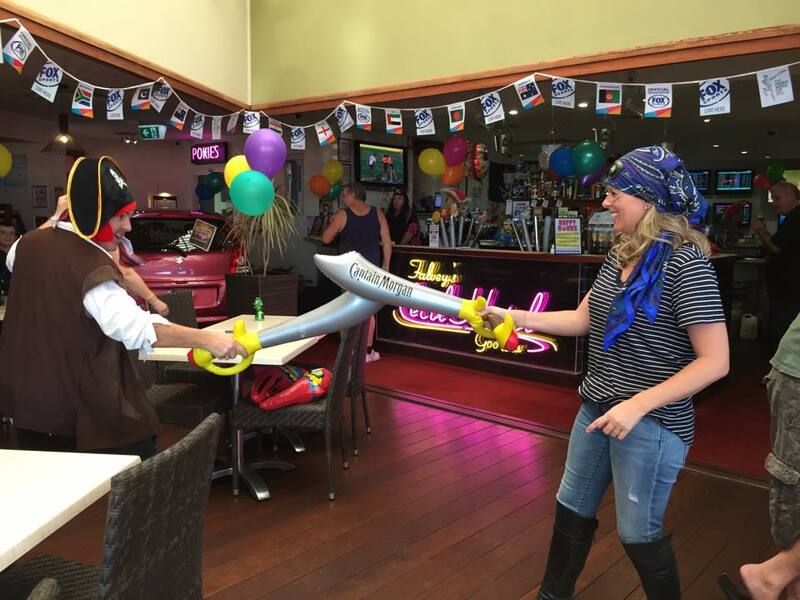 A last-minute change of schedule on the weekend meant I could attend the pirate party we were hosting at our pub in Ipswich. Figuring out what to wear to a pirate party with under an hour’s notice was the big question, and given I didn’t have the time (or inclination) to go to a fancy dress shop and dress as a wench, it had to be a DIY pirate costume. 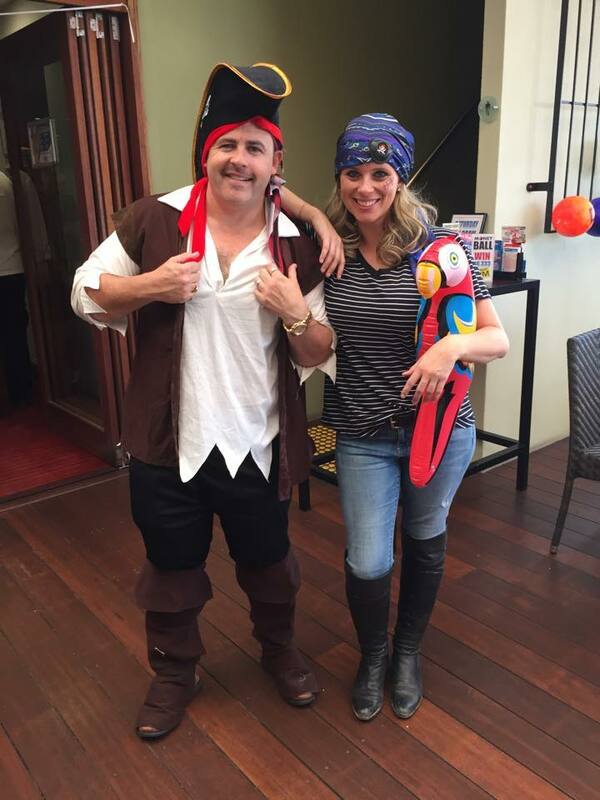 A frenzied search through my wardrobe, combined with a quick trip to the local bargain shop meant I had my DIY pirate outfit ready to go in under 15 minutes and $6. Because I’ve just cut my hair to shoulder length, I even added some pharmacy-bought hair extensions which, I am embarrassed to admit, I already owned. I also added a DIY scar for extra effect by using red lip pencil to draw the cut and black eyeliner for the stitches. I then added an extra bit of white eyeliner on top of the black to give them a bit of shine. 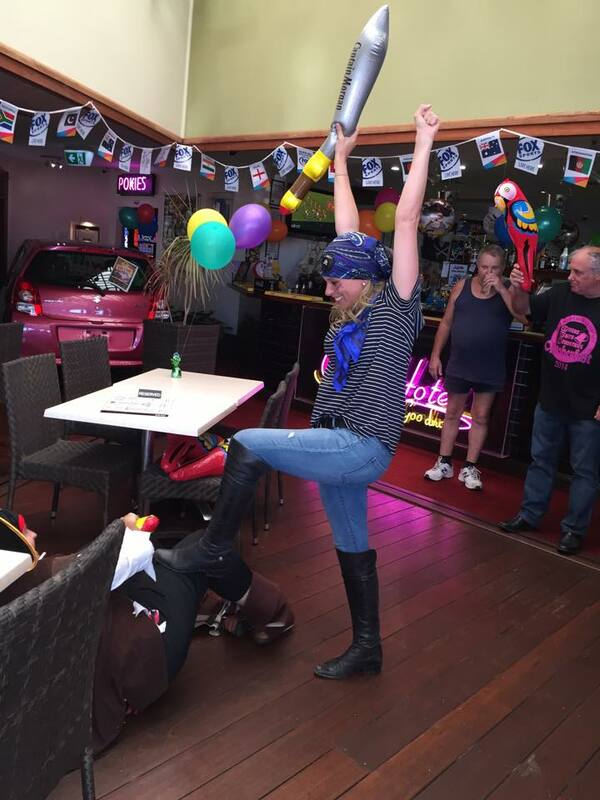 Every pirate needs a parrot.